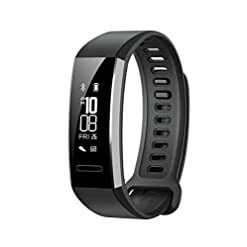 Sports Smart Wristband: Track your activity for healthy life including static and dynamic Heart Rate, Tracking Steps, Distance traveled, Calories burned, Sleeping time and quality, Sedentary reminder and Clock alarm vibration. 0.49 inch OLED screen with tap display. You can control music and take selfies from your wrist. Other features: Bluetooth 4.0 Supporting Bluetooth Calling, Phone call reminder, Caller ID display. SMS Alert, Facebook, Twitter, Wechat, QQ, Whatsapp, LinkedIn, Instagram, Facebook messenger alerts. 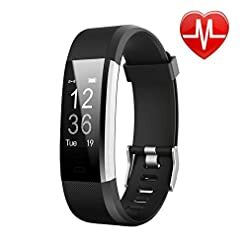 Sports Smart Wristband: Track your activity for healthy life such as static and dynamic Heart Rate, Tracking Steps, Distance traveled, Calories burned, Sleep time and quality, Sedentary reminder and Clock alarm vibration. Sports target or sleep target can be set. 0.49 inch OLED screen with tap display. You can control music play and take selfies from your wrist. Long press the screen to enter menu ( Vertical & horizontal display for choose). Features: Bluetooth 4.0 to Support Bluetooth Calling, Phone call reminder, Caller ID display. SMS Alert, Facebook, Twitter, Wechat, QQ, Whatsapp, LinkedIn, Instagram and Facebook messenger alerts. USB Charge Clip: Easy to charge, just use the USB charge clip to connect to your computer PC, laptop, notebook, power band or power plug with 5V/1A. Compatible with iOS and Android Phones: Requires Android 4.4 or above, iOS 7.1 or above,Bluetooth 4.0 or above. Download App “Very fit for heart rate” by scanning the QR Code printed on the manual. 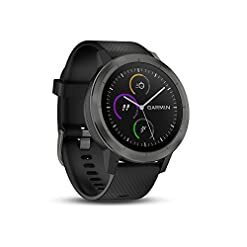 How to test the heart rate? 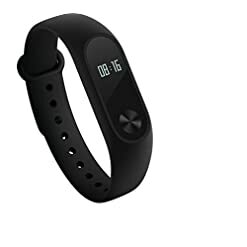 Click on heart rate menu, and the heart rate indicator’s green light on the back of the band is on. Close the back of the band, the inductor to the muscle. Read the number after 10 seconds. If it is not done in this way, the measure of Heart Rate may be not correct.